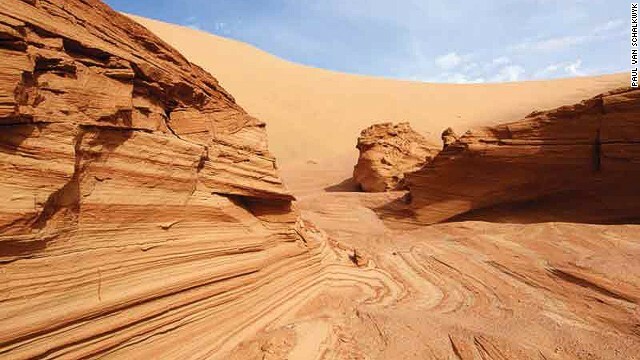 The Namib Sand Sea is one of nineteen new UNESCO World Heritage Sites announced earlier this year. These stunning dunes stretch for 1,200 miles along the Atlantic Coast. 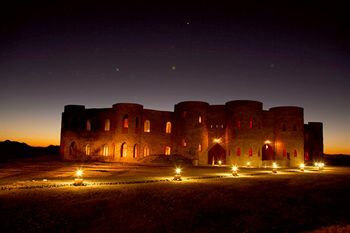 Le Mirage Desert Lodge & Spa is a unique place to stay to explore this area of Namibia, and I thought this photograph of it was magical. You can take a ride in a hot air balloon, and maybe have a Dune Sand Scrub massage afterwards!